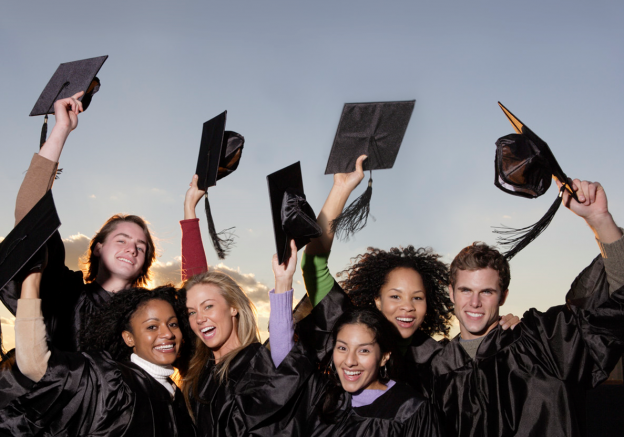 In the past several weeks, students around Colorado and the rest of the U.S. have been celebrating their graduation from high school, college and other programs in higher education. Many of them will be searching for apartments and homes to rent, and for a number of them it may be their first time renting. The following are some tips for finding an apartment or home for rent, particularly if you have little to no experience with the search process. Look like someone a landlord would want to rent to. It can be tricky to find a decent apartment, especially in places where the demand for rentals is high. In Denver and Boulder, for example, finding an apartment or home rental can be highly competitive, with rentals quickly snatched up. To give yourself an edge over other prospective tenants, you have to make a good impression. When you meet with prospective landlords or leasing agents, look responsible and well put together; dress neatly, speak in an articulate way, and have references prepared. The situation isn’t entirely dissimilar from a job interview. Get your finances together. Before launching into your search, take an accounting of how much money you have, both in savings and in current income. This will help you determine what places you can afford; don’t forget that you may also be paying for certain utilities and other housing expenses. Just the act of leasing an apartment can require an application with a non-refundable fee, and, once you sign the lease, a security depost and a month’s worth of rent. In some cases, you may be asked to supply a guarantor or co-signor (e.g. a parent or another trusted individual who can give a landlord assurance that they’ll back you up in case you lack sufficient funds to pay rent). If you don’t have income yet, but are set to start a job, you can show your landlords your official job offer as proof that you’ll be steadily employed and able to pay rent. Check your credit report. You may not have much on your credit report, but landlords and property managers are generally understanding of the fact that someone fresh out of college or high school might not have much in the way of a credit history. That said, do check out your credit report (which you can obtain for free) to see what’s on there and what your credit score is. If there are mistakes on it, get them addressed immediately. And to ensure that your credit score goes up or remains good, behave with fiscal responsibility; for instance, make any payments (for your credit card, or on a car) in a timely way. Do your research carefully. Visit the neighborhoods you may want to rent in, and read about different properties so that you know what to expect in terms of monthly rent, utilities, and amenities. Always check into the reputation and background of the company or individual landlord you’re renting from, and have everything spelled out clearly on paper. Speak with current tenants if you can, and try to find reviews online regarding a given property. If you’re thinking of sharing an apartment with someone you don’t know, investigate their background thoroughly. Give yourself enough time. Don’t leave the search for an apartment to the last minute, as you may get left with only inadequate options. The more in advance that you start your search typically the more options you will have available. At least thirty days in advance is a good rule of thumb but some start as early as 90 days in advance. In some predominately student rental markets like Boulder Colorado, leasing of student apartments starts nearly a year in advance. This is called preleasing or fall preleasing. Enlist the help of professional apartment finders. With the help of professionals, you have a central resource that can help you easily sort through different rentals, conduct a targeted search, and quickly find one that’s suited for you. You will also avoid a lot of the potential problems associated with contacting anonymous rental advertisements on sites such as Craigslist. This entry was posted in Rentals and tagged Apartment Finders, Apartment Finders Boulder, Apartment Finders Denver, Rental Locators, Renters on June 13, 2013 by John Iannone. Looking to rent? How to spot rental scams. A recent report at ABC 7’s Denver Channel highlights a common rental scam. A woman looking through Zillow came across what seemed to be a prime property for rent in Aurora at only 800 dollars a month. Fortunately, she made inquiries and discovered that the listing was a fake; the property in question was for sale, not for rent. Real estate scams are common, and renters hoping to save money are frequently targeted by criminals and shady landlords. If you’re looking for a property to rent, here are some tips to avoid getting caught up in a scam. Trust your gut instinct. If something sounds like it’s too good to be true, it very well might be. Don’t let yourself get blinded by the prospect of super-cheap rent or other attractive features. Conduct necessary research. In the neighborhoods you’re looking at, find out the average monthly rents for different kinds of properties, and what you can typically expect in terms of utilities and the availability of certain amenities. For instance, if apartments in a particular neighborhood go for 900 or 1000 dollars a month, an offering of 300 or 400 dollars in monthly rent ought to raise eyebrows; maybe there’s a chance the offer is legitimate and made by reputable landlords, but you’d better check. Always do a background check. Even if an offer seems completely legitimate, always doublecheck. Is the landlord a private individual or a company? What’s their reputation? In one Colorado Springs rental scam, tenants found that even though their rent was super-low, the landlord had left them in a building with no heat, electricity, or water, due to previous unpaid bills owed to utility companies. Check if the listing you see is real. Sometimes hackers steal information and photos from a legitimate company and post it to sites like Zillow and Craigslist; other times they’ll make up information completely. Always contact the company or landlord and confirm that a listing is valid. Also check if the same property is being advertised in different places by completely different individuals or companies; this could be another sign of a scam. Beware of typical scam artist behaviors. Is your prospective landlord asking you to wire money to them as a security deposit or first month’s rent? Are they asking you to send them online applications with sensitive information (such as SSN and credit card info) over email? Have you met them before and actually seen the property in question? Even if you’ve seen the property, do you know that it’s legitimately for rent? Scam artists hope they can extract as much money and compromising information out of you before you catch onto them. Look for properties through reputable sources. To further guard against scams, conduct your searches through a trustworthy company with verifiable credentials and references that will help you find legitimate rental properties ideally suited for you. Apartment finders and rental locator services are a good resource as they often act as an intermediary to help renters find legitimate rental properties and sift out potential scams. Housing Helpers rental locators and apartment finders assists renters in locating rental properties in Colorado and Nevada including houses, condos, townhomes, and apartments. This entry was posted in Rentals and tagged Apartment Finders, Apartment Finders Boulder, apartment finders colorado, Apartment Finders Denver, Rental Locators, rental scams, Renters on May 2, 2013 by John Iannone. 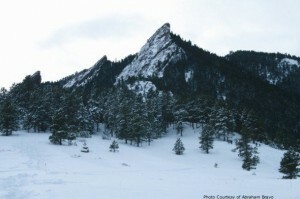 Even though the cold season has been slow to arrive this year, there is no doubt that a Colorado winter is sure to happen sooner or later. If the weather forecast is to be believed, it is likely to happen sooner rather than later! When it does, you don’t want to discover that your home or apartment wasn’t ready for the frozen flakes and sub-zero temperatures. Below are a few tips for winterizing your rental property and whether you are an owner or a renter, using these tips could save you a lot of unnecessary money and shivering down the road. In order to avoid a lengthy to-do list, the following information is presented with the fitting acronym of SNOW-Seal, Note, Outside, and Windows. Seal: The first step to winterizing your rental unit is to seal any holes, cracks, or crumbling mortar. A good way to find these often hidden nooks and crannies is to wait for a windy day and then carefully comb through your property in search of any drafty spots. Key areas to check include walls, window sills, wood trimming, siding, and near electrical outlets and doors. With a thorough inspection, you’re bound to find a few places that need additional caulking or weatherstripping. Using caulk, tacky rope caulk, or weatherstrips in these areas will help keep the weather out and the warmth in. Small gaps and holes can generally be fixed with a simple caulking, but larger problems may require a self-adhesive foam found in a local hardware store. If it’s an issue of a draft sneaking through beneath exterior doors, you can either replace the entire threshold or just insert a seal in the threshold. With any of these seal solutions, ensure that you try to find the exact fit- otherwise, get one size bigger and trim it down to the proper size. Trying to seal a spot with something too small will only lessen the problem, but not eliminate it. Note: The next item in our SNOW tip list is “N,” for “Note”- and I don’t mean the type you used to write to your third-grade crush in elementary school. There are two primary components at play here- the heating system and the alarm system. First and foremost, take note of your heating system before you need to rely on it through the cold winter days. Also check the pilot light and burners if your heating system runs on gas or oil. The filter should not only be checked at the onset to winter as well as checked (and if need be, changed) every month to avoid dust and pollutant build-up and increase efficiency. Another item to note are the air ducts. The U.S. Department of Energy states that a centrally-heated home can lose as much as 60% of the heated air before it even reaches the vents if the ductwork is not done properly. In other words, it pays to ensure that those air ducts are both well-connected and well-insulated. It’s also a good idea to vacuum them out every few years to allow easier air flow devoid of gunk and grime. Another very important item to note for winterizing your rental is the alarm system. This includes both smoke alarms and monoxide detectors. The batteries should be checked twice a year to ensure they are working properly. Beyond the biannual check, however, it is vital that they are in working order for the winter months when homes and apartments are more likely to be enclosed with running heat and therefore more susceptible to fire dangers. Outside: This section covers the importance of winterizing gutters, roofs, and outside faucets. A long autumn can cause a build-up of leaves and other windblown items into your gutters, but it is well worth clearing out before the snow demands the space. If snow falls on clogged gutters, it will hinder the water from effectively draining from the roof. This trapped water could potentially freeze, thaw, and re-freeze several times throughout the winter which can damage not only the gutters themselves, but also the attached roof. In addition, pay close attention to any loose or damaged shingles because the weight of snow is bound to worsen their conditions. Finally, if applicable to your rental property, the chimney is another outside element to consider. Beyond the general sweep, it should be inspected as soon as possible in order to avoid unpleasant surprises later on. A final word on the outside section concerns the curse words of winter, “frozen pipes.” It is important the note that your lease may hold you responsible for any damages that come as a result of frozen pipes, so taking caution in this matter is not only recommended- it may be required. Wrapping exposed pipes with heating tape or some sort of insulating cover is a good way to start. In addition, it is also important to drain any exterior spigots and pipes so as to avoid freezing excess water. Windows: We have reached our final letter of SNOW, the “W.” Here it stands for the all-important windows element of winterizing. If storm windows are not an option, you can still enhance your heat efficiency by protecting them with plastic sheeting. This form of window insulation is installed from the inside with a double-stick tape. From there, use a hair dryer to affix the sheeting to the window. It may not be the prettiest addition to your home, but it will assuredly increase the heat efficiency by trapping the warm air inside. If you can’t stand the look of it, another idea is to install curtains. An appealing drape will also provide a buffer between you and the winter outside. A few last tricks of the trade to keep your rental property warm and cozy this winter is to consider your furniture placement. Take a stroll around your living space and ensure that no heat sources are blocked by furniture, which can prevent effective airflow. Aside from the fresh perspective that newly positioned chair can give, who knew that it could also keep you warmer. Lastly, turn on the ceiling fan! By reversing the fans, you will actually push the warmer air downwards to a level where you can enjoy it. Ultimately, the aim of the SNOW list is to keep you as warm as possible by being as heat efficient as possible. If you’re still in the market for a rental property or hoping to rent out your space this winter, consider using Housing Helpers to make this possible! Happy winterizing! Housing Helpers can Rent Your Property quickly and provide a great way for you to manage your properties easily. If you are considering long term rental property management or property management companies, check out Housing Helpers first as we are Colorado’s most popular rental locating service and we can recommend the right property management services for you! This entry was posted in Property Management and tagged Landlord Help, Landlords, property leasing services, Property Management, Property Management Companies, Property Managers, Rent Your Property, Rental Properties, Rental Property Services, Renters, Winterizing on December 7, 2012 by John Iannone. By Stephanie Iannone at June 13, 2013 .